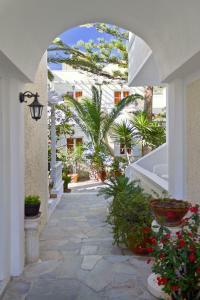 The Dolphins Apartments are located directly opposite Kamari Beach in Santorini. 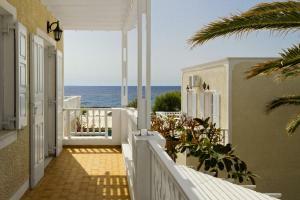 This apartment consists of an 1 separate bedroom and a kitchenette with a living / dining area. 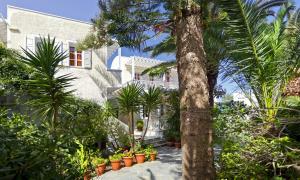 It also includes air conditioning, TV, fridge, hairdryer and a balcony overlooking the garden or the Aegean Sea. Some apartments have free Wi-Fi. This apartment consists of 2 separate bedrooms and a kitchenette with a living / dining area. 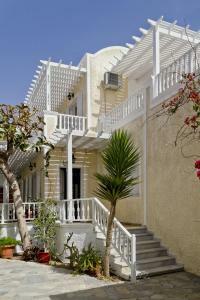 It also includes air conditioning, TV, fridge, hairdryer and a balcony overlooking the garden or the Aegean Sea.